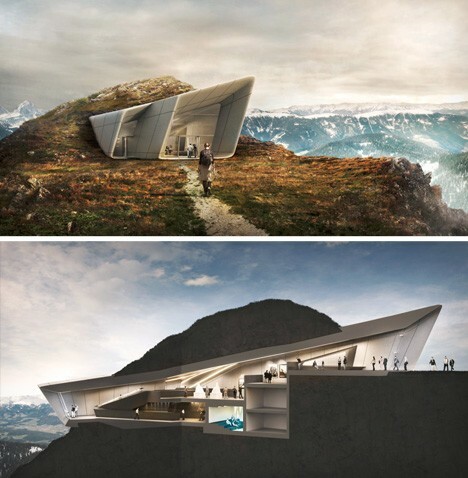 Buried within a mountaintop nearly 7,500 feet above sea level, this remarkable semi-subterranean mountaineering museum, designed for a unique client – the first man to scale Everest without oxygen. 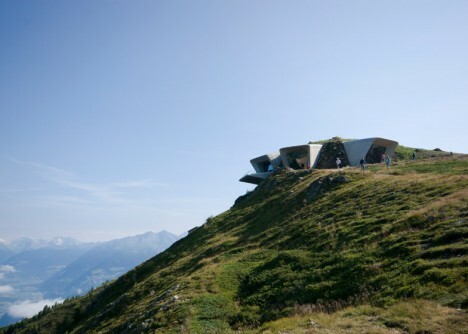 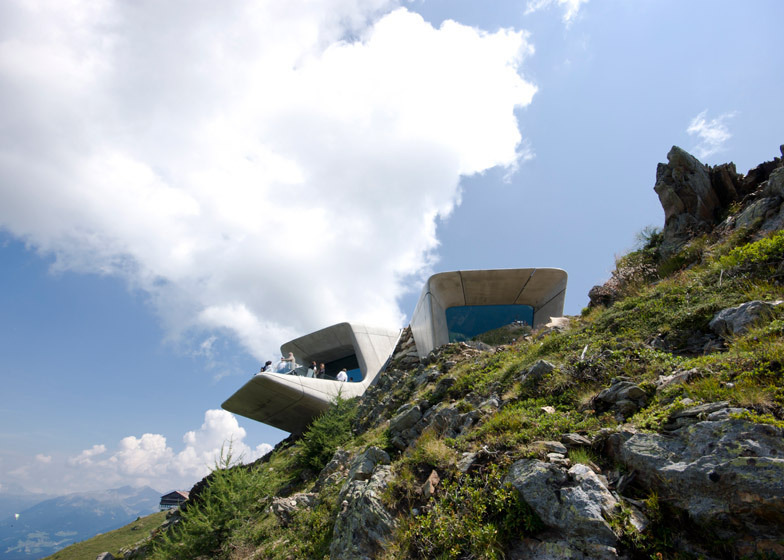 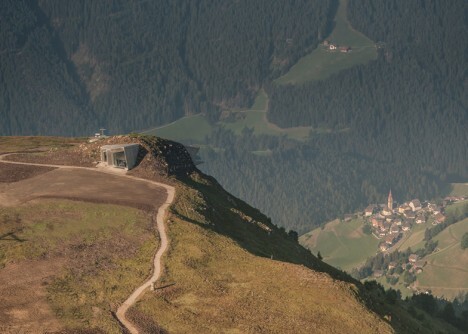 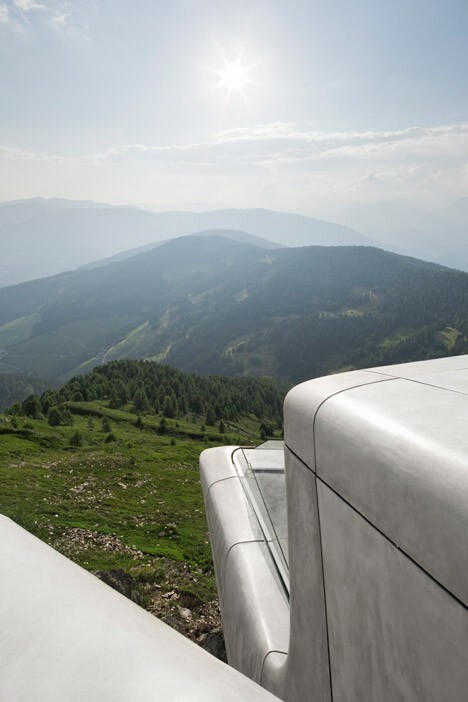 Designed by Zaha Hadid (images by Werner Huthmacher), the Messner Mountain Museum Corones refers to Reinhold Messner. 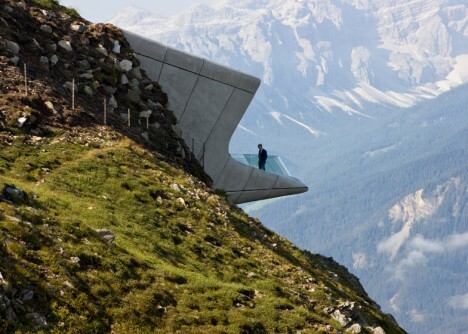 Located atop Mount Kronplatz in Italy, it is the first in a series of planned mountaintop museums, each designed to create a sense of journey and adventure for its visitors. 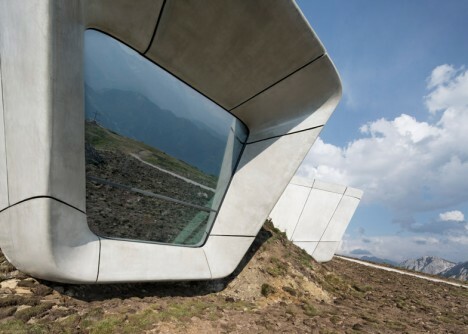 In this case, one arrives from the side then continues below the surface before emerging to discover a dazzling view of the surrounding landscapes and peaks, framed by huge windows or enjoyed from a balcony jutting over the edge. 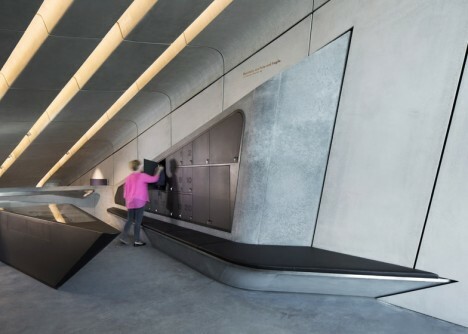 As one travels through the building, the focus shifts from artifacts and exhibits within the museum back to the outdoor world that inspired this famous climber to become the first to ascend all fourteen of the world’s tallest peaks. 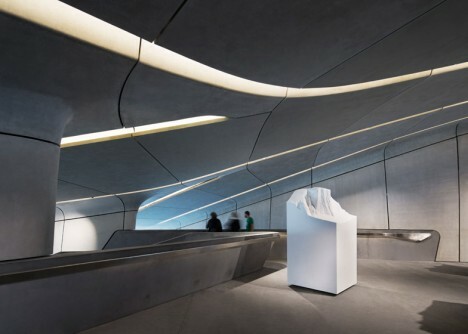 The signature curves of Hadid’s work guide one through narrowing and widening spaces, slopes and steps, each shaping the experience. 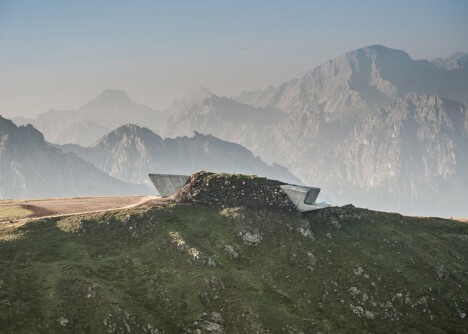 Without further landscaping, it is hard to say whether the building in reality reflects the mountain-piercing concept, but a freshly-constructed work of architecture is rarely finished until more greenery (and maybe in this case some additional dirt) comes back into play.